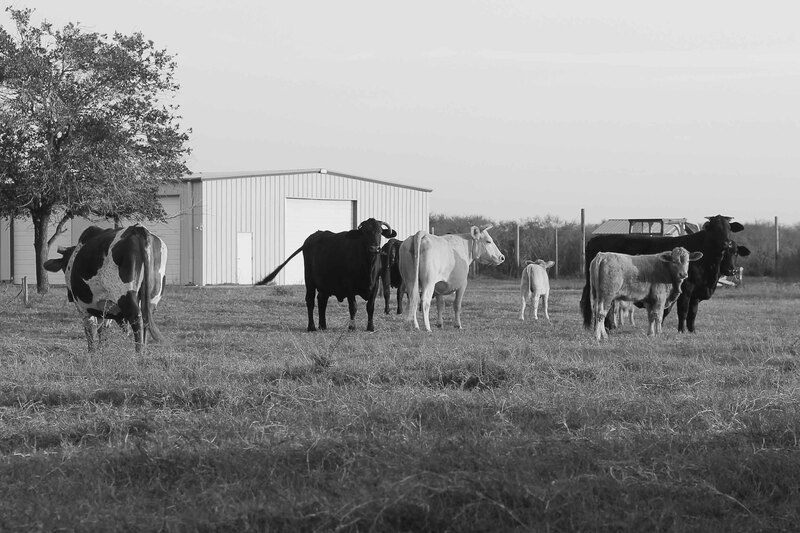 I went back to Texas for Christmas and decided to take pictures of all my lovely animals. They’re giant goofballs – meet our wonderful pets! This is my dog, Bandit. 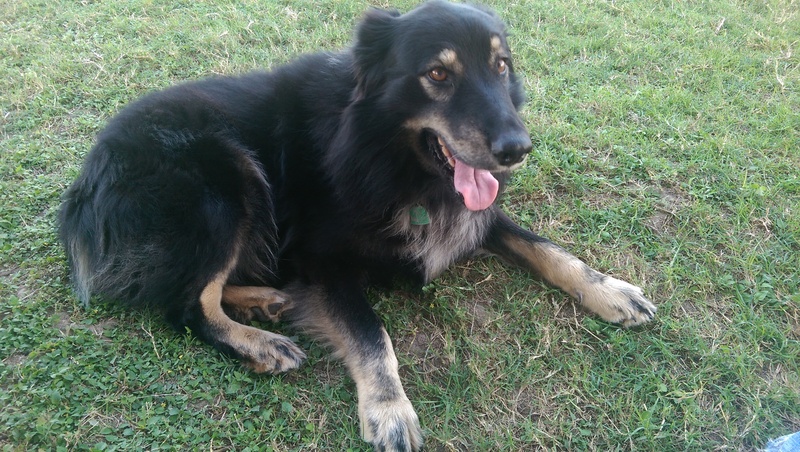 He’s an Australian Shepherd/Chow mix (to the best of our knowledge) and the best dog in the world – calm, obedient, and good-natured. He’s really happy here, because he came outside and had me all to himself for a whole hour, which is a rarity. I miss him in Boston, but our ranch is his home and he wouldn’t be happy in a city. 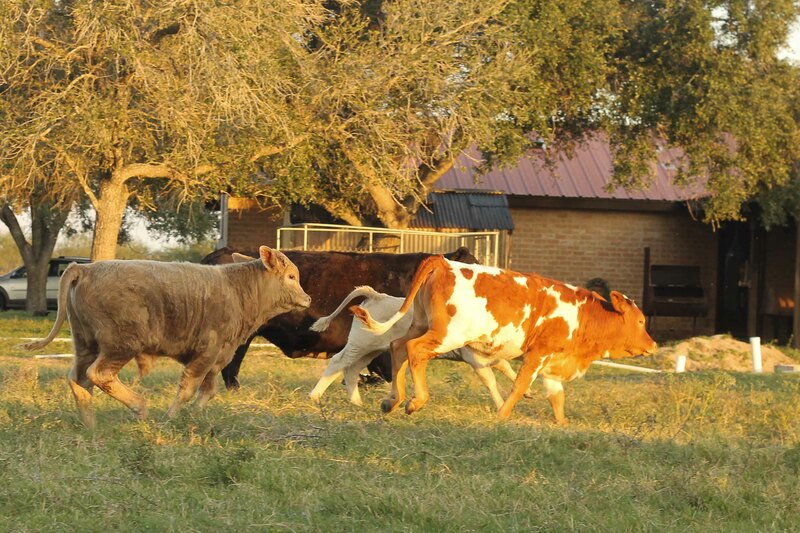 These are our moo cows, running away from me and Bandit. Here is the whole tiny herd of cattle. It was such a picturesque moment – you can’t tell in the picture, but the grass is actually very green in South Texas, a rarity for sure! 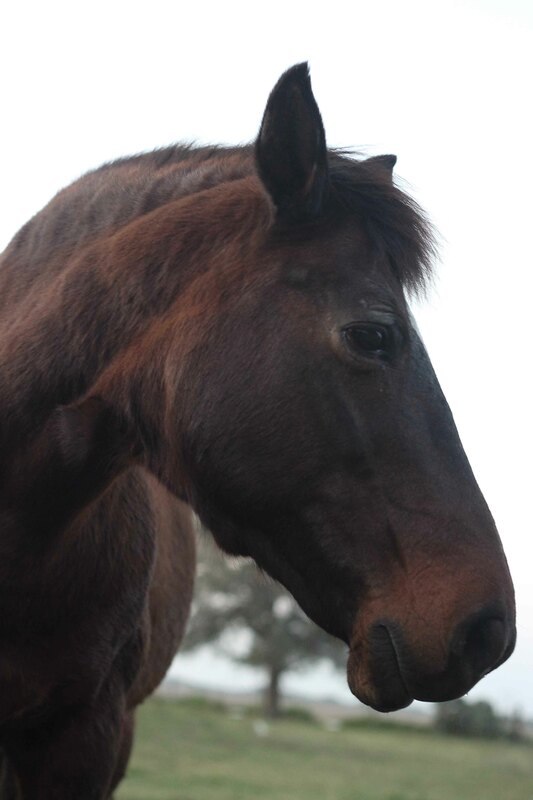 This is Blitzen, one of our horses – she’s such a sweet girl. The black horse is Tilly, my mom’s big goofball. When I was grooming one of the other horses, Tilly came up and drooled all over me to say hello! 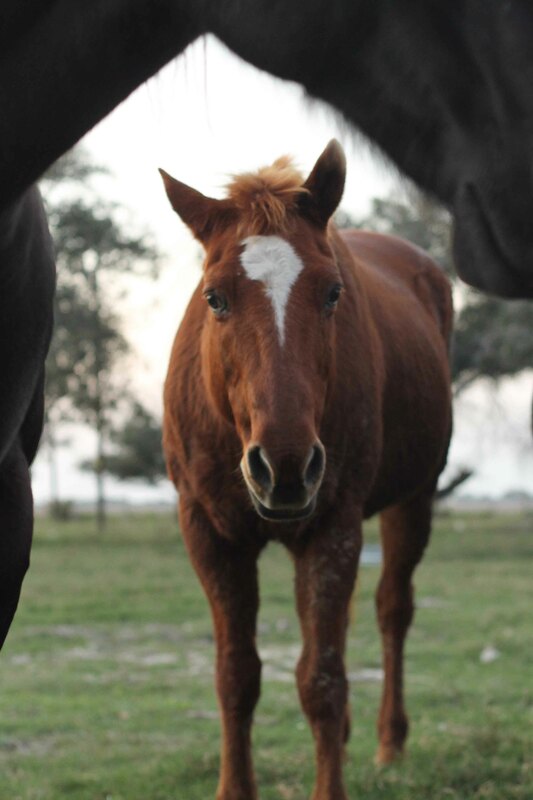 This is Morgan, my horse, a POA/Quarter horse cross. She’s really smart and used to be super nervous, but she’s calmed down in the last few years – Mom’s been spoiling her and I think that’s helped a lot. 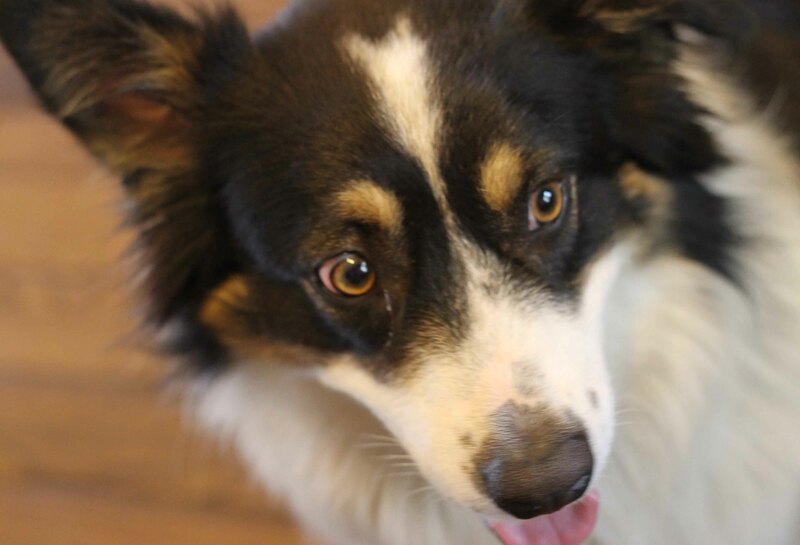 This is Molly – yes, this Molly! She’s my mom’s puppy – she loves everybody the best, but she loves my mom the bestest – and she’s a purebred Australian Shepherd, with a high-energy, loving temperament. She and Bandit are really good buddies, though she’s definitely more the more affectionate one. Australian Shepherds are often called velcro dogs because they always want to be near their people. Molly’s taken this to a bit of extreme – she has this new trick of getting in between your legs while you’re walking and then trying to walk with you while maintaining contact. In this picture, she walked under my brother’s legs and then sat there, completely uninvited and perfectly happy. (Clearly, Eric didn’t mind at all.) 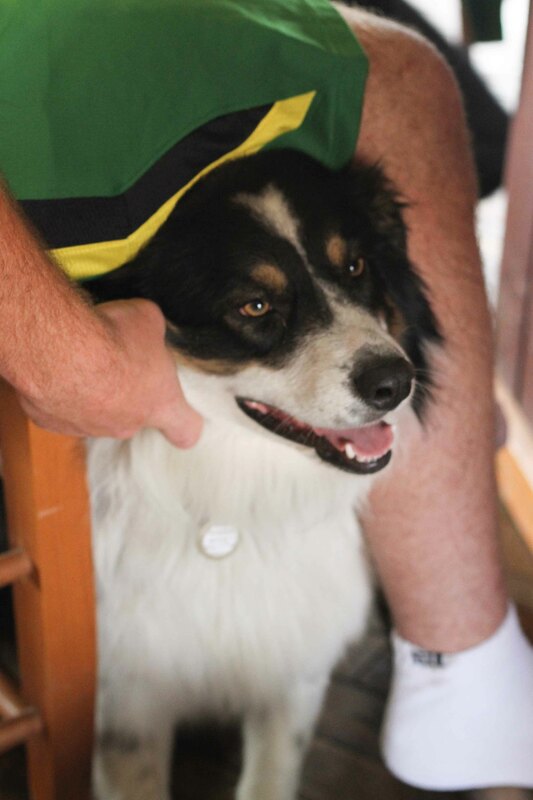 My whole family has fallen in love with Aussies – they’re great dogs if you have the time and energy for them! Side note: Next blog post features a guest photographer, wild animals, and a foreign country! Stay tuned!